How Allan Ginsberg's reading at a San Francisco art gallery in 1955 started the "Beat Generation". Allen Ginsberg first read his poem Howl, at an art gallery in San Francisco in October 1955. It marked a turning point in American literature and is credited with starting the "Beat Generation" of American writers. Michael McClure, a fellow poet, took part in the reading that night. The programme was first broadcast in 2012. 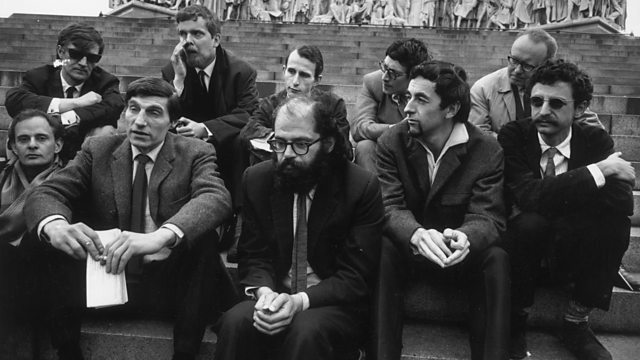 Photo: Allen Ginsberg, front row centre, with other poets in 1965. Express/Getty Images.